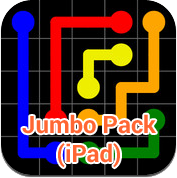 This is the answers for the Jumbo Pack iPad inside the In-App purchase. This is the solution for the Blue Pack inside the In-App purchase. It is more challenge then the Flow Free. 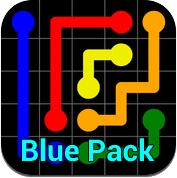 I suggest you buy the Blue Pack if you like this game, it will cost you $0.90 only and you can support the original creator. This is the solution for the Green Pack inside the In-App purchase. It is more challenge then the Flow Free. 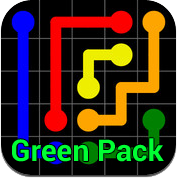 I suggest you buy the Green Pack if you like this game, it will cost you $0.90 only and you can support the original creator.